The Ruby-crowned Kinglet is a tiny bird that lays a very large clutch of eggs—there can be up to 12 in a single nest. Although the eggs themselves weigh only about a fiftieth of an ounce, an entire clutch can weigh as much as the female herself. 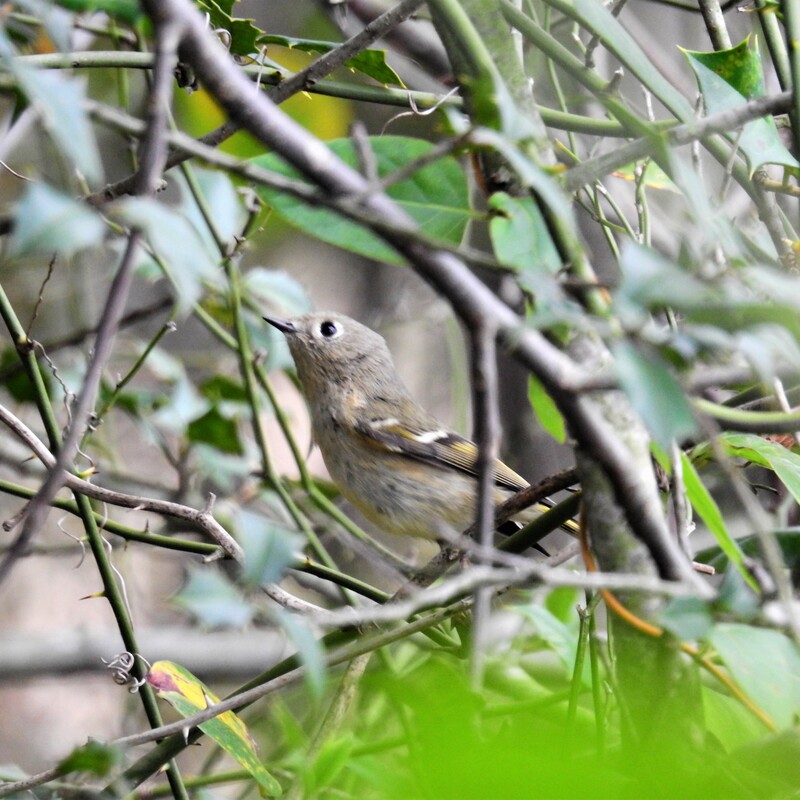 Ruby-crowned Kinglets seem nervous as they flit through the foliage, flicking their wings nearly constantly. 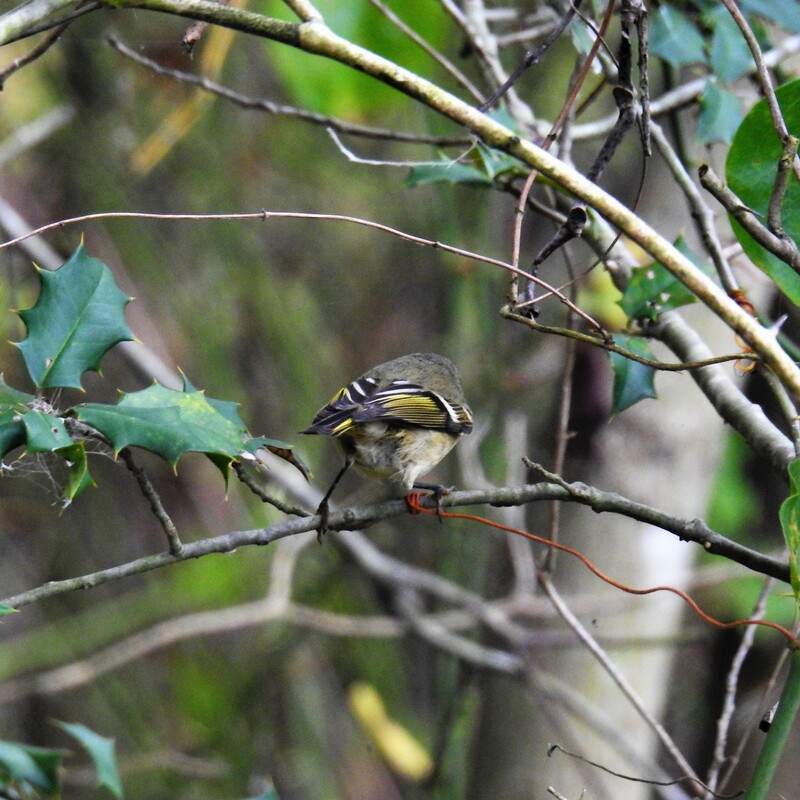 Keeping an eye out for this habit can be a useful aid to identifying kinglets. Metabolic studies on Ruby-crowned Kinglets suggest that these tiny birds use only about 10 calories (technically, kilo-calories) per day. 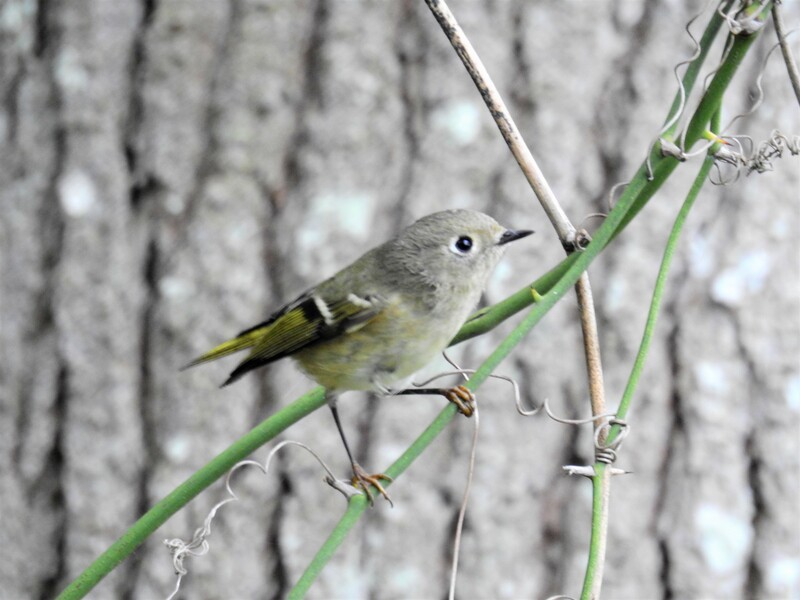 The oldest known Ruby-crowned Kinglet was a female, and at least 4 years, 7 months old when she was recaptured and re-released during banding operations in California in 2007. She had been banded in the same state in 2003. This entry was posted in Birding. Tagged Birding, Birds, Delaware. What a cutie. But where is his ruby crown? Only the males wear the ruby crown.